If you haven't already heard, Nike and Apple have teamed up to create a training system called Nike +. 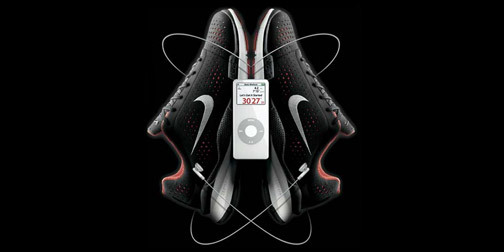 It consists of a insert for your Nike + shoes and a receiver that attaches to your Apple Nano. Data from your run is transferred onto the Nano, tracking your pace and run time. Data can monitored through the headphones as well as tracked over time on your computer. iTunes has also put together special playlists to optimize your training. Not only is this a powerful partnership but what I really like about this system is that it is the kind of great idea that designers come up with as concepts but never make it to production.